Crowdfunding is still in its infancy in South East Asia and while users are definitely spending their money on the hopes and dreams of entrepreneurs, the platform for South East Asian entrepreneurs is not really up to scratch with the counterparts across the sea. Today, Starhub – A Singapore Telco – has launched what it claims to be the world’s first telco backed crowdfunding site called Crowdtivate. 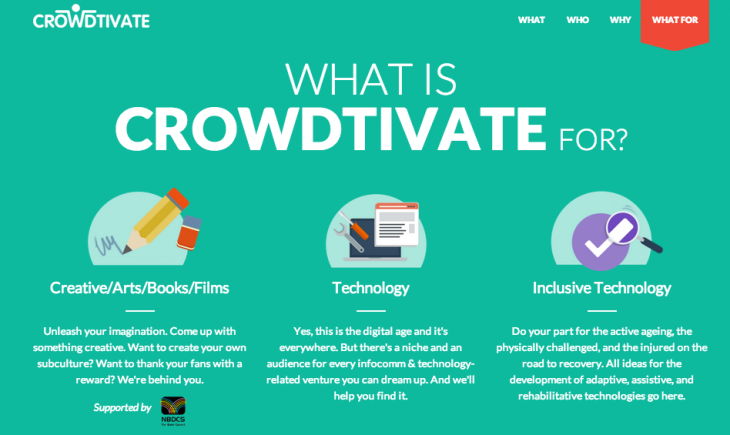 While indiegogo and kickstarter have always been available to us here, Crowdtivate is a little different. Crowdtivate not only connects you with potential backers but rather promising projects will gain access to mentors as well as other resources from Starhub to help nurture and grow their business. This is still in the beta stages at the moment but it is a very promising concept, let’s see if one of our local telcos decides to go that way as well!